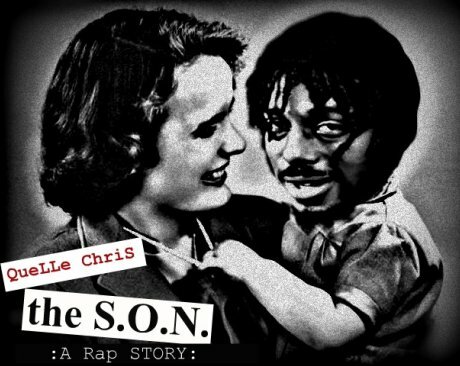 Quelle Chris is new-ish MC and producer out of the Motor City. He dropped this EP free via the Internet last month. While other QC stuff is pretty hot, the majority of this is mediocre at best. Both on the mic and behind the boards, this is primitive stuff. Oftentimes that's a good thing, but here it just comes off like as a lackluster effort. His flow on this release is sort of like a poor man's version of his fellow D-town MC and frequent collaborator Danny Brown. That being said, the track "Shitting On Niggas" is one of the illist two and a half minutes I've heard all year. The low-end buzz is hard as hell, and I can't get the hook out of my head--"Shittin' on niggas, it's the son." If anything, it is worth the download just for this song alone. Expect a full-length later this month.